First of all, listening to the customer. Then analysis, evaluation, numbers. Studying is the first step for a General Contractor. Getting in touch with customers, understanding their needs, desires and expectations is pivotal. Every work starts through a preliminary feasibility study, allowing to evaluate the project in every detail. 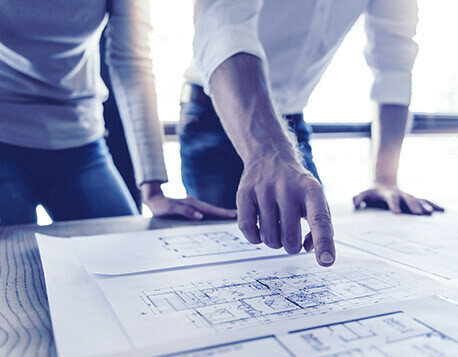 This evaluation includes always the counselling of our architects and technicians, to draw an analytical prospect and a cost estimate – which includes both building and management fees for a turn-key project. Documents production and careful consideration for every detail are fundamental for a perfect operative working schedule. Achieve your goal with us!